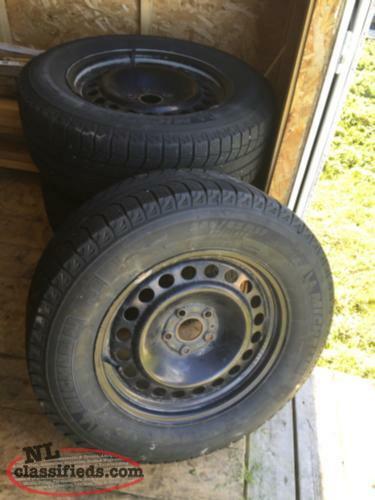 2 winterforce winter tires for sale and two others . Used for two winters . On aluminum rims from 2007 trailblazer . 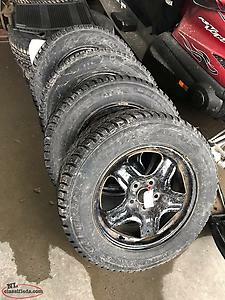 4 Michelin Latitude X-Ice winter tires and rims to fit Ford Explorer or similar. Size 245/65 R17. In excellent shape. Low mileage. 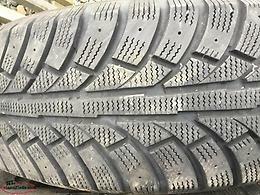 Hi, I'm interested in the 'Four 245/65/17 winter tires for sale' posted on NL Classifieds! Please contact me if still available.